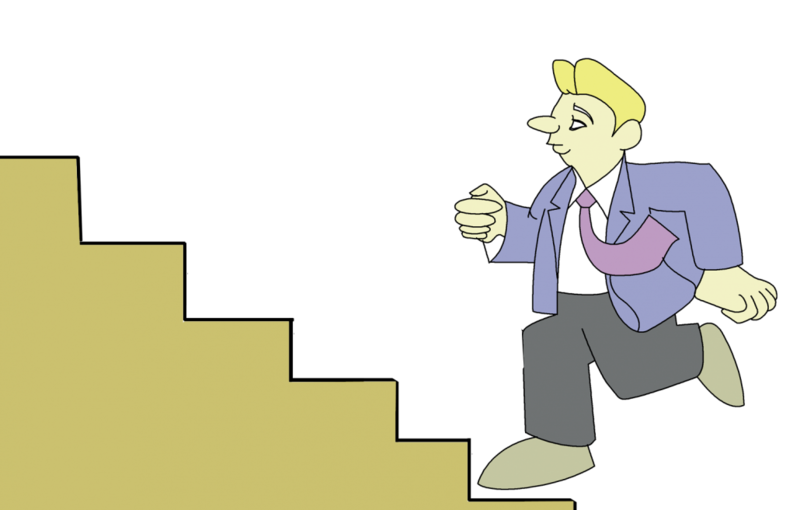 You are here: Home / Blog / Business On The Road / Don’t Stare Up The Steps – Step Up The Stairs! Well, we stopped staring and started stepping. 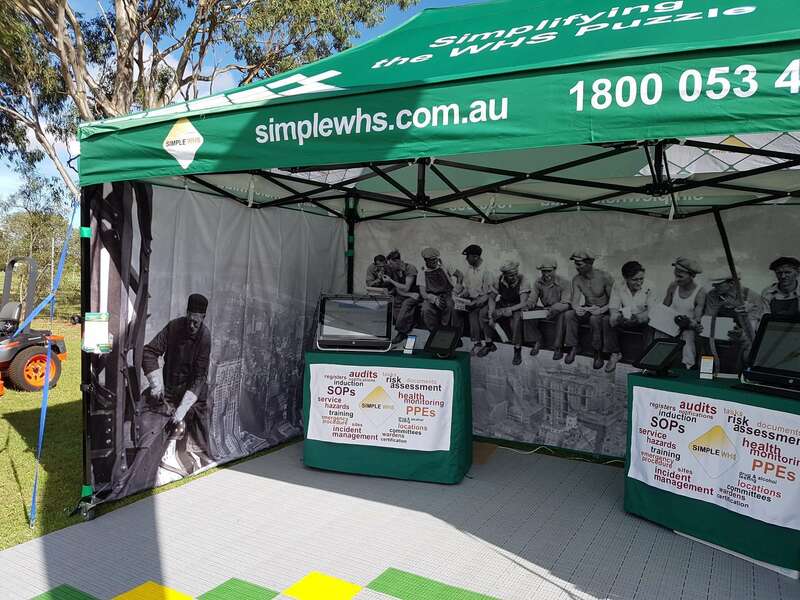 The SimpleWHS application is looking good, and space booked at all the major machinery days and Farm Fests around the country. The idea is to present the application to farmers and machinery operators and let them see the thing in operation. We could combine our love for living on the road with our business. We had the marquee built, the signs written, the presentation screens, laptops, cards, fridge magnets etc. 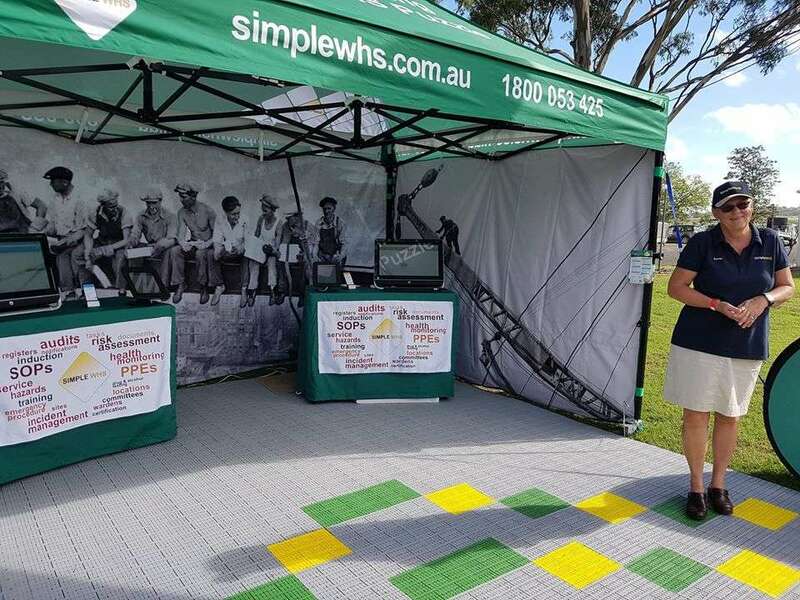 Everything was ready to leave Redcliffe caravan park for the first show at Pittsworth, Qld. The poor Nissan. We’ve loaded her to the gunwales. We had special plastic flooring stashed in rolls on the roof rack of the ute, the marquee, chairs, tables and computers in the caravan and we were HEAVY. I feel we saved the lives of a few Scalies by not getting pulled over because if we did the poor Scalies would’ve dropped dead with heart failure right there. The warning signs started early! Just like a severely overloaded mule, the poor Nissan started screaming in protest. We joked with each other with heavily veiled laughter and the mutual prop up encouragement, “She’ll be right”. Well, she was right (sort of) till we hit the Toowoomba Ranges. A quarter of the way up the range the beautiful scenery behind us was eradicated by the smoke spewing from the Nissan. There was no power in her, and it looked like we were going to go backwards down the range faster than we’d gone up frontwards. Poor Kerrie! “She’ll be right” was not working for her. How we made it to the top of the range, I don’t know, but we did. We joked that at least the worst was over and it was all downhill now. Many a true word is spoken in jest! We learned on the way to the showgrounds that the show continued till 10 pm, so one last asset purchase was needed, some floodlights from Bunnings, which turned out be like flushing money down the Sh**er. 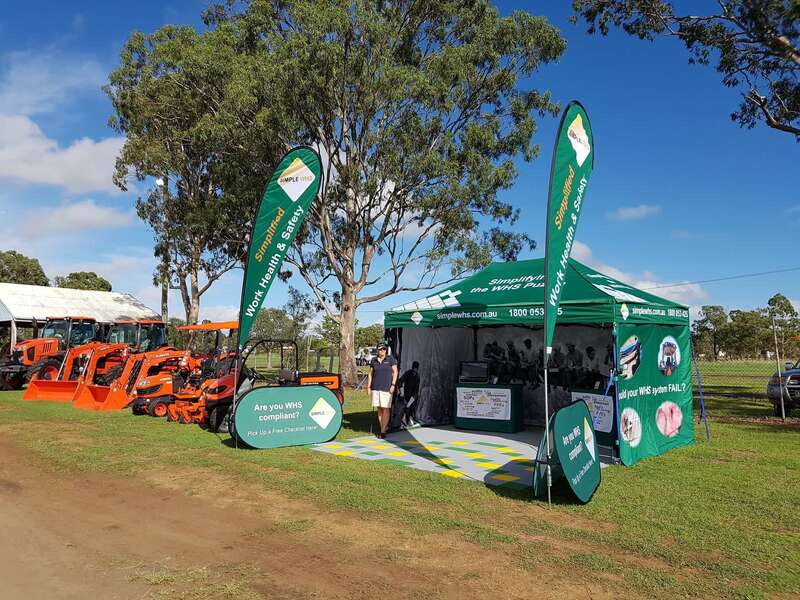 We pulled in to the Pittsworth show grounds and set up the marquee for the first time amidst the bemused attention of the locals. The whole setup looked remarkably good as we closed up the marquee flaps and went back to the caravan for a restless night of wondering what our first day at a show would bring. Early morning found us outside the marquee where the first sign of trouble came in the form of the front wall of the marquee unzipped. Investigation inside revealed we’d been robbed! The floodlights we’d just bought, tools, computer gear – gone. Luckily we’d taken the main computer displays and laptops to the caravan with us, or they would have also gone and flatly ended the venture before we got to operate even one day. Innovation and acceptance enabled us to fight on and wait for the queue of customers. A queue that never arrived. We had the occasional moron through and a few very good potential customers but nothing to get remotely excited. The highlight of the day was when Nola and Lloyd came from Brisbane for a visit. There we were in our newly printed uniforms and the marquee that looked like a million bucks but no customers. Two days we spent like that with the only positive being a genuine interest in what we were doing by the few who took the time to stop. Disillusionment and disappointment caused us to strip everything down early and pack up so we could depart Pittrworth without haste on Monday morning. So ended our first exposure to the reality of the grand plan. More “Reality” was to come very soon! Read about the start of our journey here. Back on the road again! 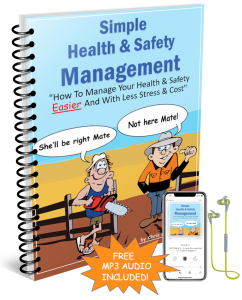 Chris & Kerrie Jones Nothing’s Easy!